Fusha shpk will be responsible for the construction of the new National Theater building and will, consequently, obtain the public land between the theater and the Eurocol and Infosoft buildings, in order to build a large commercial center. Fusha shpk is precisely the company who formally commissioned the project of the building by Bjarke Ingels Group (BIG), along with a project for large commercial buildings to be constructed next to the theater. This was revealed by Danish architect Bjarke Ingels himself in an interview he gave to Spanish magazine Metalocus. BIG was selected directly, without any procurement procedures, by, most likely, Prime Minister Edi Rama. BIG won a 2002 Tirana municipality competition to design an interfaith museum in the center of Tirana, and the municipality paid around €45,000 for it. 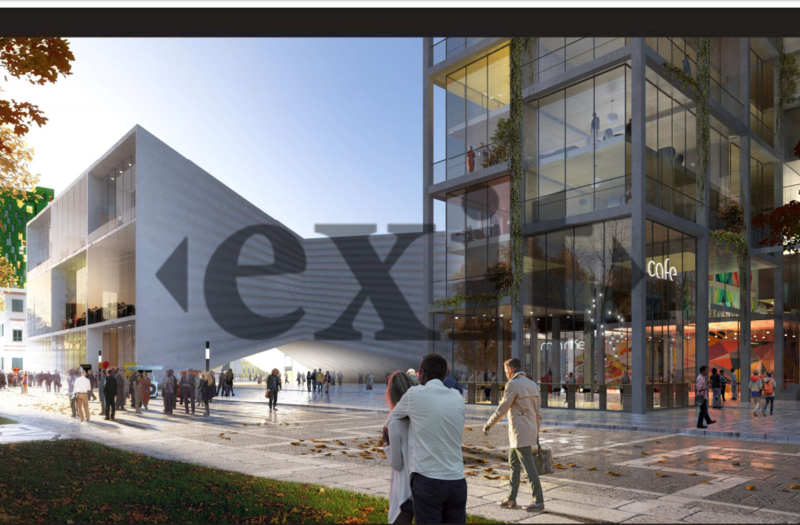 From that time, Rama forged a connection with Bjarke Ingels and has now decided to hire him to design the theater building and the private ones behind it. Fusha shpk is only the construction company that will execute the project, but chances are, all requirements and specifications regarding the project were directly dictated by Rama, who has commissioned Fusha since his term as Tirana mayor in often dubious procurement procedures. A nearly identical formula has been followed with regard to the project for the new football stadium, the National Arena, which is currently being built on the land once occupied by National Stadium Qemal Stafa. Albstar shpk was selected to finance and build the stadium, being rewarded, in return, with the ownership of the land and its surrounding public property. As with the theater, it was Prime Minister Rama who dictated the architect the construction firm had to “choose,” namely Marco Casamonti’s Archea Associati, with Casamonti being an old partner of the Prime Minister’s from the time the latter was Tirana mayor, responsible for the unfinished and bankrupt 4EverGreen Tower. What Bjarke Ingels told the Spanish magazine reveals an even uglier truth: Edi Rama is the state and the law. The entire project for the theater and the surrounding commercial buildings has been conceived, planned for, and arbitrarily and illegally decided on by the Prime Minister. In clear violation of the Albanian and the Aarhus Convention, Prime Minister Rama has reached an agreement with Fusha shpk about the entire formula, including the way the buildings will be constructed, how the public land and buildings will be partitioned, what their use will be, what the architectural project will be, and how the profits will be split. In this whole affair there has been one sole authority: that of Edi Rama, acting as Prime Minister, Minister of Culture, Minister of Finance, Tirana Mayor, National Territorial Planning Agency (AKPT), Territorial Development Agency (AZhT), National Territorial Council (KKT), Albanian Parliament, architect, planner, lawyer, and any and all other urban development institutions. Now, all these state institutions, local and central, are involved in a wide-ranging campaign of falsification and public manipulation with the purpose of fabricating official-looking procedures in order to legitimize the Prime Minister’s arbitrary and illegal whims. This campaign will eventually reach a point when, as the Prime Minister himself predicted, a few weeks ago, the Albanian Parliament will draft a special bill granting Rama’s clientelist and personal profit-driven decisions legal power. There would be no other way to make Ingels’s building project legal. This is the end of the rule of law and any governing principle. The purpose of the law in a democracy is to limit the behavior of the government and any other power, yet, under the governance of Edi Rama, the law and the institutions meant to uphold it have become mere instruments to carry out the Prime Minister’s personal will. Ingels’s revelation also highlights the hypocrisy and deception coming from the highest governing actors. Edi Rama, Erion Veliaj, Minister of Culture Mirela Kumbaro, and dozens of other high officials, who have been publicly lying to the citizens, attempting to sell Rama’s arbitrary decision as a supposingly institutional one that had underwent legitimate analysis and appraisal. In fact, what little information the government has made public, has been coerced by the pressure of public opinion, after this scandal was uncovered by Exit and Lapsi.al, and other media, afterwards. Under this public scrutiny, Prime Minister Rama and Ingels were forced to present their project in a meeting with an artists’ union.